ThankYou for checking out our recent publications. We feel that you will be blessed by the writings and teachings of this local ministry. To purchase any of the items below click here and it will take you to our online store. We hope you will be blessed by the Word. 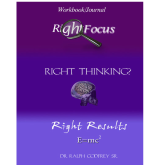 Author: Dr. Ralph Godfrey Sr.
Often times people make ill-advised choices that disrupt their lives. Many never knew that these decisions could have been avoided if the Word of God was allowed to play an intricate role in that choice. This book is written for all believers that need a newway to channel their thought process from the old way of thinking toward a more biblical view. If you yeild yourself to the teachings within this book, you will be successful in the results you seek. 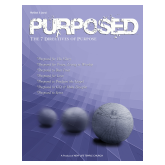 The 7 Directives of Purpose is a workbook & journal established to move people toward a clearer understanding of God’s initial reason for calling them into his Kingdom. The 7 directives introduced in this workbook are a group of authoritative instructions, taught by Pastor Ralph, that will help people discover the true meaning to their existence. Many Christians struggle to know if they have a specific call to their life. They seek even harder to discover a simple answer to the true nature of their identity as a Christian. As Christians, we have been called or rather predestined for one thing in this life and that is “to conform to the image of the Son”! Get this workbook and discover why conformity to the Son provides purpose in you. 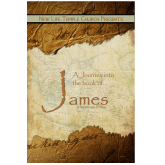 This epistle from James is an amazing literary work that will take you on a journey of learning about faith, works, morality, wisdom, controling the tongue, obedience to God, and a host of other prevelant topics. This journal is an aide to help you acheive the maximum insight into the words inspired by the Holy Spirit; cited by James to exhort troubled believers. We encourage you to read it in accordance to the daily schedule along with prayer, meditation and then application; which is key to seeing the transforming power of God manifest in your very life. 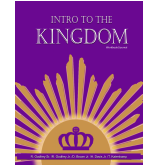 Intro to the Kingdom is a workbook purposed to help us look intently into our daily Kingdom walk. Although many people come into the Kingdom of God, they are often times unaware of its existence, its nature and benefits. Countless times the Church overshadows the Kingdom’s presence due to its assorted protocol and procedures. This workbook will add a general understanding to what the Kingdom of God is about. In the process, it will also help you personally assess your spiritual journey by means of a daily journal. A journal is a wonderful tool to use for writing down our interactions with God through our thoughts, conversations, personal feelings and even our private struggles. It is like going through spiritual therapy every day because it’s really dealing with what&apos;s going on in you. This workbook is perfect for small groups and even personal quite time, because it is designed to challenge the people of God to mature and become responsible for what we say we are and that is…....”Christian”. 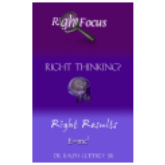 Here is a workbook/journal for small groups that will prepare the mind for a new way of thinking. The goal of this workbook/journal is to make sure you have all the knowledge required in order to get the best use from the content within. This workbook/journal is designed for small groups and can be used during your personal devotional time.